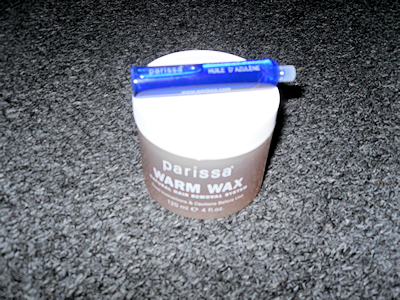 I was asked if I would like to review Parissa Warm Wax. As it is coming up to the Summer we all want smoother legs so we can fake tan and look summery and so I said yes! I received Parissa Microwaveable Warm Wax legs, body & face and also Parissa Soothing & Moiturizing Azulene Oil which prevents ingrown hair and you use this after shaving and waxing in the post. I either shave or wax so I will use a lot of the aftercare product. The box contains 120ml of wax, 20 strips, 8ml oil and 3 spatulas. I can agree that it zips away the hair and it makes your legs ultra smooth. I waxed my legs about 2 weeks ago now and the hair has still not grown back so it is looking promising. I will do an update post to tell you how long it took for the hair to grow back. I must say it took me a long time to get to grips with it as it is not as easy as I thought it was going to be using it. I am not an experienced person when it comes to warm wax as I usually use wax strips, and the first time I applied the wax and zipped the hairs off I managed to give myself a couple of bruises which I think comes down to the fact I am not very experienced and it was my first try at at. When I did it the second time it was absolutely fine, so it must have been something I did wrong the first time. Parissa is a brand which is an all natural-hair remover that works whenever you need it. It states on the website ‘Gently remove hair from your bendy bits, your curvy bits, your tender bits, and yes, even your naughty bits.’ I completely agree it is very gentle apart from when I did it wrong and you can get to all the bits you need to. With it being gentle and not hurting and you hardly have that stinging sensation you do with others. Skin should NOT be cleaned before using product. Heat the product to a liquid consistency and retain at that consistency throughout the process. When putting it in the microwave remove cap and seal. Place on a dish in centre and put heat on high for 1 to 2 minutes. Stir wax after heating. Smooth on using edge of a spatula, spread a paper-thin layer of product in direction of hair growth. Immediately smooth down strip over waxed area leaving end of strip extended beyond product. Rub the strip to adhere well. Zip off immediately. Hold skin taut below strip with one hand. Use other to grasp lower end of strip and zip-off quickly in opposite direction of hair growth keeping strip/hand as close and parallel to the skin as possible. and then you repeat. What I find really useful is that it also says the length of hair. For Bikini Line, trim the bikini hair to 1/2″ which is approx 1cm. Area is sensitive so work in small patches and apply product thinly. Bend leg outward, stretch skin with one hand and with other strip off against hair growth. For upper-lip, keep lips taut over teeth throughout process. Work on only 1/2 area at a time. Spread product evenly and thinly from centre to outer corner. Strip- off toward centre in one quick motion. Apply pressure to stripped area to minimize discomfort. Soothe and cool area with an ice cube. For underarm hair, Place arm behind head as far back as possible to tauten skin. Check direction of hair growth as it varies widely. Work on upper and lower half of underarm separately. So, anyway I just did my legs. I warmed up the wax which took 1 minute. Stirred it and started to apply really thinly. I then put the strip on and zipped-off my leg hair. I use the same strip twice and it had got all the hair off one section. I would not say this is time consuming what so ever. 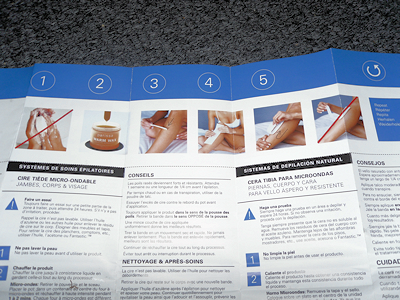 It is very quick, a little simple if you know what you are doing and fantastic product to wax with. It has a really nice consistency which is easy enough to work with. I would not really say It has a smell. Previously shaved hair is strong and resistant. Wait 1 week or until hair is 1/8″ (1/4 cm) long before first use. In hot weather or when perspiring, apply talc sparingly. For Cleanliness always wipe one side of the spatula against lip of jar when retrieving the wax. Always spread product in direction of hair growth and strip-off in opposite direction. The thinner you spread the product the better the results. Always pull strip back along itself in one quick movement. Dont peel of pull of slowly. The fast the strip is removed the better the results. Continually re-heat warm wax throughout process to maintain fluid consistency. Avoid all interruptions and delays during process. I think these tips are spot on. I must admit having to continually re-heat the wax was a pain but it did pay off and I got really good results. After I had finished I used Parissa Azulene Oil which prevents ingrown hair and it is the aftercare for waxing. I must say being blue it is a very odd colour. It is in a spray format, you also get one with the warm wax but it is a small one. It gives you effective relief from irritation and bumps. You should apply this daily because it really helps. I did and my legs are still smooth and soft. It is non greasy and really easy to use all you do is spray it! You can find the Warm Wax in Boots for £13.79 and you can find the Azulene Spray in Boots for £8.19. You can click here to find out more. Have you used warm wax before? 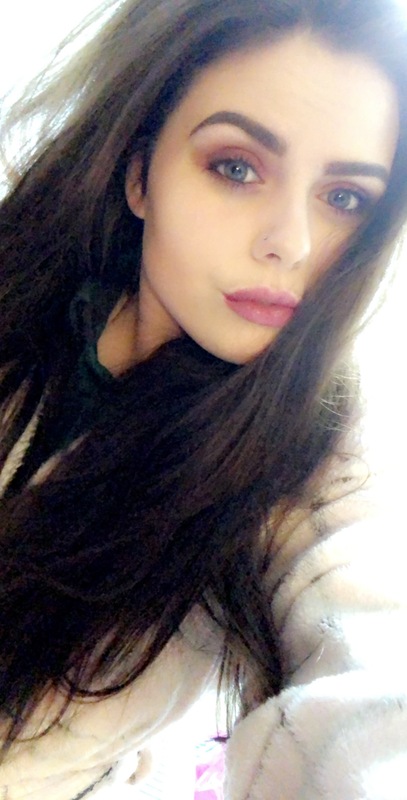 let me know down below. I'm Tiff,I have been a blogger since 2013 Blogger and its all about Fashion, Beauty & Lifestyle. losing weight and my struggles!